Wang's Business Law of China, the first work of its kind on Chinese commercial law, is a detailed, analytical, comprehensive and practical account of the subject. Wang's Business Law of China, the first work of its kind on Chinese commercial law, is a detailed, analytical, comprehensive and practical account of the subject. It examines and discusses how Chinese laws are made, why they are made, how they are interpreted and enforced, and their effects on the development of the market economy in China as well as on foreign businesses doing transactions with their Chinese counterparts or making investments in China. 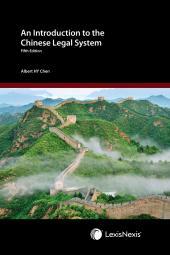 The book comprises 24 chapters set out in six parts, with full discussions and analysis on all the key topics of commercial law in China, such as the system of law-making and law interpretation, contract law, company law, laws relating to foreign investment such as Chinese-foreign equity joint ventures and contractual ventures, and laws relating to state-owned enterprises and other Chinese entities, foreign trade, provisions and practice relating to the fair trading system such as antidumping, subsidies and countervailing duties and safeguards, central and commercial banks, securities, intellectual property and dispute resolution. As well as carefully selected cases, writings and commentaries by Chinese and non-Chinese authorities are also covered to explain the various aspects of Chinese business law. 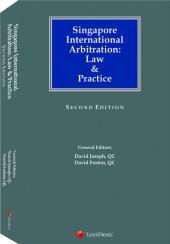 On each of the topics, this author has also provided his own views based on an analysis of the law and its implementation. This is particularly so with regard to those topics on which there are yet no leading cases or authorities. 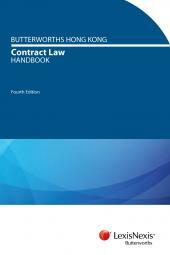 Since the first edition, and indeed since the previous edition, many changes have taken place in China which have impacted on commercial law. Changes have resulted both from domestic reforms and China's integration into the world economy. Domestically, the legal system has been reformed by the adoption of the Legislative Law, provided powers at various levels of government and created procedures for making laws, national and local. This is covered in detail. Globally, China's accession to the WTO in November 2001 has made broader trading rights into a reality. For more than half of a century after the establishment of the People's Republic of China, individuals and enterprises were not entitled to conduct foreign trade. The fourth edition incorporates all the developments brought about by WTO obligations, comprising numerous laws and regulations in connection with trade in goods, trade in services, foreign investment, intellectual property protection, antidumping, subsidies and countervailing duties, safeguards and taxation. This book is designed to meet the needs of the legal academic, the practitioner and business person interested in or doing business with or in China. It is also particularly suitable for law students studying Chinese civil and commercial law and law on international business transactions.